Pharmacy Technicians work under the supervision of a pharmacist to prepare and distribute medications, collect payments, manage medication inventory, and place orders. 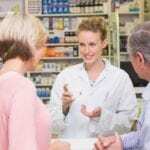 They can perform much of the duties of a pharmacist, but the pharmacist must review prescriptions for accuracy before dispensing to the patient. 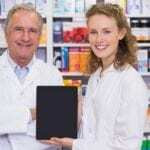 Registered pharmacists depend on their technicians to manage much of the daily administrative duties in the pharmacy. The expanded role of technicians is one of many reasons employers prefer Certified Pharmacy Technicians. 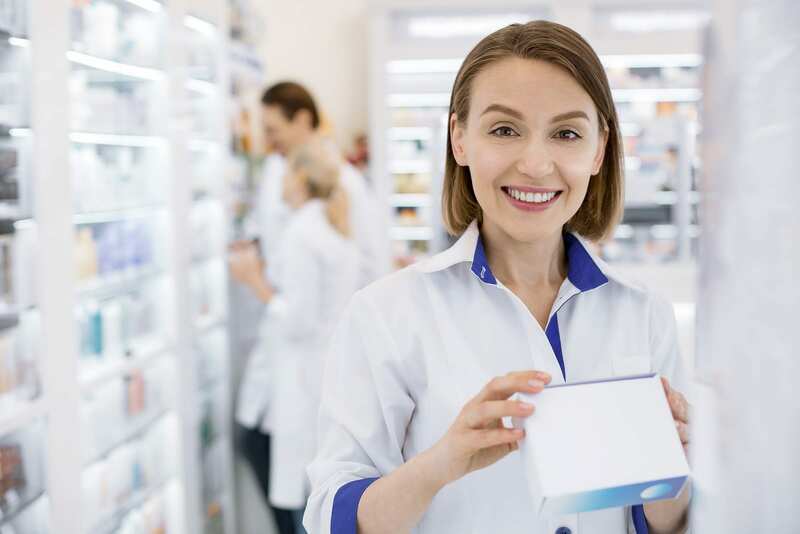 Pharmacy technician programs help adults develop the skills and mindset to function as competent technicians in retail and institutional pharmacies. Training will include classroom theory and the use of innovative technologies in a skills lab and during a pharmacy externship that will foster a realistic insight of the role and responsibilities of technicians. The training will also prepare students for success on the national certification exam, such as the one offered by the Pharmacy Technician Certification Board (PTCB). Pharmacy technicians earn a median annual salary of $31,760. Technicians employed in hospital pharmacies can earn up to 37 percent more than those employed in community pharmacies. According to the Bureau of Labor Statistics, the rate of employment for pharmacy technicians is expected to grow 12 percent through 2026. The profession is one of the fastest growing in California. Students enrolled in the pharmacy technician program will acquire the skills to dispense medications and healthcare products under the supervision of a licensed pharmacist. In the classroom, students will learn pharmacology, standards and ethics, basic pharmacy calculations, federal and state laws and regulations governing pharmacy practice, drug manufacturing, billing and reimbursement, medication safety, pharmacy information systems, packaging and labeling programs, routes and forms, recordkeeping, and conversion tables. Upon completion of the lectures, the student must participate in a 120-hour pharmacy externship to receive their final certificate. Students will learn job preparation skills as part of the preparation for their career as a pharmacy technician. Graduates are eligible to apply to the California State Board of Pharmacy for state registration. Tuition cost $3,299 and does not include books, uniforms, and supplies. The pharmacy technician program at the American Career College prepares adults for employment as entry-level technicians. Students learn how to dispense medications under the supervision of a licensed pharmacy in community and institutional pharmacies. The curriculum covers 1185.5 contact hours including 780 classroom hours and 405.5 hours in a local pharmacy. The duration of the program is 36 weeks. There is an accelerated option that can be completed in 28 weeks. Students who complete the program’s 46-quarter credit hours will receive a Pharmacy Technician Diploma. Course topics include basic chemistry, pharmacology dosage calculations, pharmacy law, retail pharmacy procedures, inpatient pharmacy procedures, and customer service. Instructors will also emphasize trade and generic names of medications, drug classification, routes of administration, indications, and storage methods. Hands-on practice supports the development of filling prescriptions, preparation of sterile products, unit dose drug distribution, computer operations, pharmaceutical and medical terminology, and the role and responsibility of the pharmacy technician. Other hands-on skills include aseptic techniques, unit dose cassette filling, and extemporaneous compounding. Upon completion of the courses modules in the classroom, students must complete a 300-hour externship. Tuition and fees cost $17,975. Students considering the pharmacy technician program at West Los Angeles College have two program options. The “For-Credit” offers the opportunity to obtain basic and advanced Certificates of Achievement and/or an Associate Degree. The coursework may be eligible for university transfer. Students enrolled in this pathway may qualify for financial aid. The curriculum for the basic Pharmacy Technician Certificate covers 10 modules, 490 hours of instruction, including a 120-hour pharmacy externship at a community pharmacy. Students may elect to take three additional courses to complete the Advanced Certificate of Achievement. The entire curriculum fulfills the requirements of the Association of Health Systems Pharmacists (ASHP). Course topics include retail products, introduction to pharmacy, body systems, pharmacy calculations, pharmacy operations, community pharmacy services, in-patient pharmacy services, sterile products, communication and customer service in healthcare, and computers in health occupations. The Westside Extension Career Training is the second option that prepares students for licensure as a pharmacy technician in just 9 months. This program is a few months fast than the “For College Credit” option. It covers 6 modules in 460 hours of instruction. Classes meet two evenings a week and Saturdays. The Westside Extension Career Training and the “For College Credit” programs both meet California State requirements for licensure as a Pharmacy Technician. Applicants for licensure must pass a California State Board of Pharmacy exam to become a licensed pharmacy technician. Tuition for the program is $3,300. A flexible installment plan is available for all students. The Pharmacy Technician Certificate program at Cerritos College prepares students for state licensure and practice as a pharmacy technician. The curriculum covers 31 units in 3 to 4 semesters. Students who successfully complete the certificate program have the option to complete additional courses to earn an associate’s degree. The program ASHP accredited program includes training in medical calculations, pharmaceutical calculations, pharmacy introduction, pharmacy skills lab, pharmacy operations, over the counter products, medical terminology, anatomy and physiology, and pharmacology. Tuition per unit is $46. The advanced certificate program will total $1,700. UEI College hosts a pharmacy technician program that emphasizes the skills that students will use daily in their role as a pharmacy technician. The program is designed to be completed in 36 weeks. Graduates will be prepared for entry-level employment in the health care industry. The curriculum covers nine modules. The first with modules are 80 hours each. The final module comprises of 120 hours of practical work during a pharmacy externship. Upon completion of 760 clock hours of instruction (34.5-semester credits), students will receive a Pharmacy Technician Diploma. Course topics include sterile preparations, internal medicine, pharmacology and compounding, pharmacy law, hospital pharmacy procedures, retail pharmacy procedures, and health insurance and billing. Students who successfully complete the pharmacy technician program at Galaxy Medical College will receive a Pharmacy Technician Diploma. The duration of the program is 45 weeks. Students learn how to interpret physician orders and prescriptions, define medical and pharmaceutical terms, function in retail and hospital pharmacies, prepare and distribute medications, understand the laws that govern pharmacy practice, process insurance billing and collect payments, perform pharmaceutical calculations, and understand the pharmacology of medications. They also learn non-sterile compounding and IV preparation. Morning and evening schedules are available. Tuition for the program is $12,500. Books and supplies cost an additional $525.